Free written estimates with no appointment necessary. Your family deserves to ride in style even if you have less than perfect credit. We pay top dollar and want you to look at the same data we do. Check out our latest vehicles specials for offers that can’t be beat. Our service specials are tailer for every service need for your KIA. Over 40 years of service all around Metro Detroit. I had a great experience working with Charlie. He took care of me all the way. Check him out!!!!!! Would purchase a car from there again! Great experience! Michael A was a great guy to work with , 10 out of 10 , going back for sure next time , highly reccomend this place to anybody looking for a good new or used car . Fahad help me to find my right car. Thank you. Great customer service. Charley is a great sales representative. He is very friendly and he made me feel confident when I made my purchase. Thanks Charley. Charley Kashou is one of the best salesman in the industry, I like his personality. Great job and keep up the good work!! Regardless of whether you are interested in taking home a gorgeous new Kia soon or you need quality maintenance or repair work on your current vehicle, turn to Glassman Kia in Southfield for helpful assist from our friendly, hardworking team. We understand how frustrating it can be to pick out a new vehicle when you are being pressured to do so, and we know the stress that you may feel when your vehicle is in the shop for service. At our Southfield auto dealership, we are committed to providing you with a better experience each time you choose to visit our convenient location. Our goal is to meet all of your needs for sales, financing and service while providing you with a stress-free and pleasant experience. The current Kia lineup features smaller and larger vehicles that are loaded with innovative features. More than that, they have appealing style throughout the interior and exterior, and they are available with numerous options and add-ons to make it easy to customize your new vehicle to your specifications. 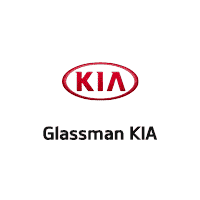 Glassman Kia maintains an enormous inventory of our new models. While the inventory updates regularly, we usually have most trims for today’s models on our lot and ready for you to test drive. Once you slide behind the wheel of the model that you are excited about today, you can gain first-hand appreciation for its impressive on-the-road capabilities. Our sales team wants you to feel confident about your vehicle selection, so we take time to answer all of your questions honestly while maintaining a pressure-free sales experience. All of our Kia vehicles are produced using innovative processes and quality materials. These are models that are designed with durability and reliability in mind, but the longevity of your new Kia is also in your hands. By scheduling regular maintenance with our service center, you can easily follow the automaker’s recommendations. Our well-appointed service center is equipped to be your one-stop resource for all auto services your Kia requires. We have the tools, supplies and skilled technicians required to complete all maintenance and repair services needed under one roof. By doing so, we take the time and hassle out of auto maintenance. Our certified Kia techs have extensive experience and training, so you can count on us to do quality work and to produce efficient results. Before you can head down the road in a new Kia from our inventory, you may need assistance with your trade-in and help setting up loan or lease payments. At our Southfield auto dealership, we offer a convenient, transparent trade-in process and eliminate the hassle associated with trying to sell your used car yourself. Our Kia financing team is eager to assist with your auto loan or lease needs as well. Applying online today or completing the financing application in person begins the process with our dealership. Because we are focused on serving your needs and because we maintain a huge affiliate network, our team can quickly provide you with terms that are well-suited for you. We take every step possible to make your new vehicle purchase easy and streamlined. If you are in the market for a used car, we are the trusted Southfield auto dealership to reach out to. On our large lot, you can find numerous recent or current Kia models ready for you to check out. The inventory also includes a wonderful selection of newer models from other automakers. At Glassman Kia, we provide all of our customers with the same exceptional level of service and hassle-free support for new and used vehicle purchases alike. By trusting our sales team to serve you, feel confident that you will receive our full attention and will benefit from our dedication to serve all of your needs. Our sales team is on standby waiting to learn more about what you are looking for in your next vehicle. The Glassman Kia team is honored to serve your automotive needs now and in the future. For auto service, sales and financing assistance in Southfield and surrounding communities, we are ready to help. Schedule an appointment with one of our helpful team members today, or drop in at your convenience.